12. Kid McCoy: The “Real McCoy” invented the corkscrew punch, designed to both penetrate specific guards and tear an opponent’s skin. He was considered the ultimate opportunist, an inventive trickster who did not hesitate to indulge in outlandish tactics to gain an advantage, such as feigning illness or pointing to someone in the crowd. 11. Tommy Loughran: The owner of arguably the most cultured lead hand in boxing history, Loughran was masterful at controlling distance and was one of the best defensive fighters to ever step through the ropes. His intelligence was by far his greatest attribute and enabled him to compete with such legends as Gene Tunney, Harry Greb and Mickey Walker. 10. George Dixon: The first black man to win a world title and inventor of the practice of shadow boxing, “Little Chocolate” is arguably the sport’s first true master. 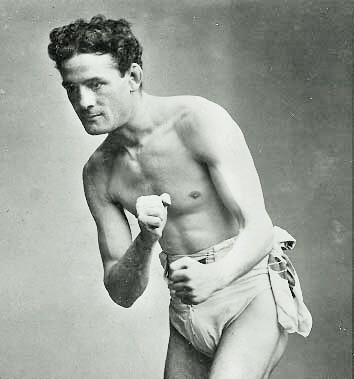 Hailed during his career as the finest boxer of all time, Dixon was a master of feinting and a true innovator both in terms of tactics and training methods. 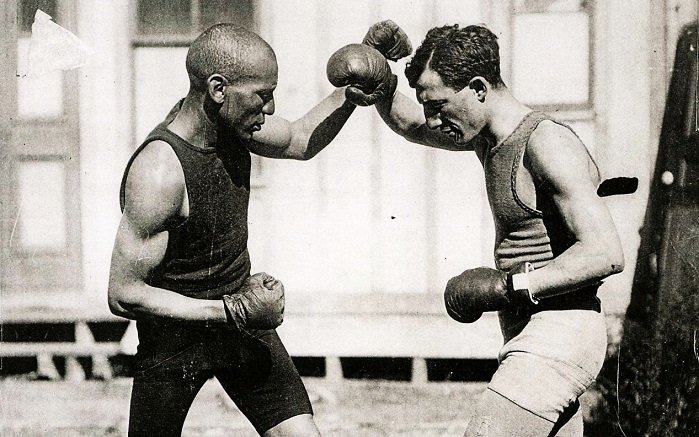 His techniques greatly influenced those who came after him, including Joe Gans and Jack Johnson. 9. James Corbett: In terms of technique, Corbett was one of the great pioneers as he emphasized footwork, lateral movement and effective use of the jab. His win over John L. Sullivan in 1892 marked a great victory for brains over brawn and a turning point for the sport. One can argue that Corbett is the godfather of modern boxing principles. 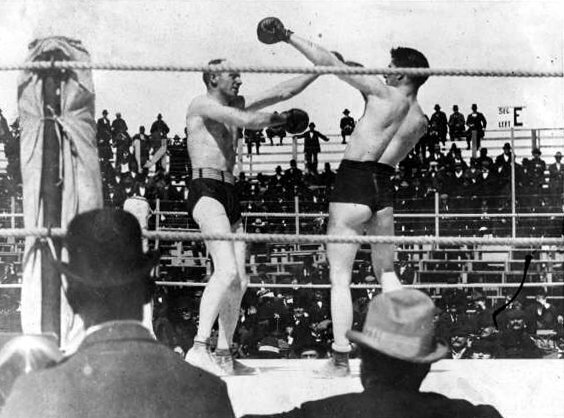 Fitzsimmons and Corbett mix it up in their historic 1897 encounter. 8. Holman Williams: A major influence on the great Joe Louis, Williams was both one of the sharpest and cleverest boxers of his time and one of the most avoided. Legendary trainer Eddie Futch claimed Williams was the best pure boxer he ever saw and that he’d rather watch Williams shadowbox than most other pugilists actually fight. 7. 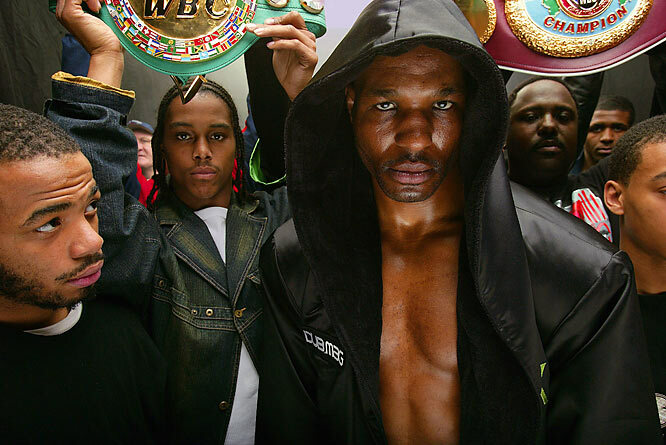 Bernard Hopkins: For Bernard, a master of psychological pressure, the fight begins long before the opening bell, but once in the ring he proved himself both a defensive wizard and a master at compelling opponents to fight his fight. Like Archie Moore, Hopkins’ amazing longevity is a direct result of his intellectual approach to the sport. Hopkins’ longevity is all about his brain power. 6. 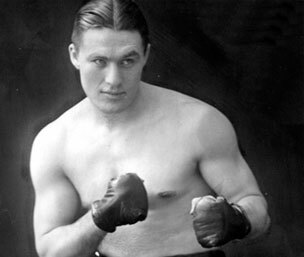 Jim Driscoll: During his lifetime there were many who regarded “Peerless” Jim as the greatest boxer who had ever lived, such was his mastery of the squared circle. Considering he held wins over fellow luminaries George Dixon and Abe Atell, this judgment cannot be dismissed as mere hyperbole. Driscoll went on to write four books on boxing technique — The Textbook of Boxing, Out-Fighting, Ring Craft and The Straight Left — and they remain among the most detailed treatises ever written on The Sweet Science. His ideas have influenced countless boxers and even elite martial artists such as Bruce Lee. 5. 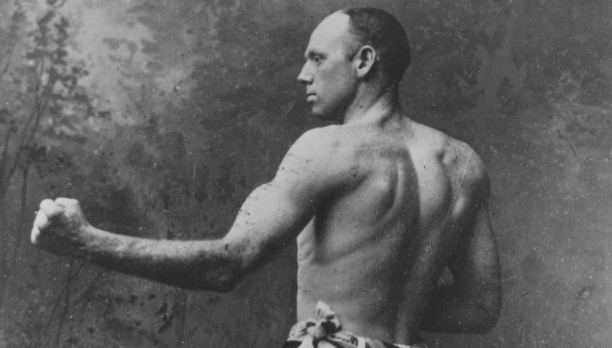 Bob Fitzsimmons: “Speckled Bob” is known for being both boxing’s first triple-crown champion and one of its hardest punchers. What is lesser known is that much of Fitzsimmons success stemmed from some highly sophisticated ring technique. Timing, distance and footwork were as much his stock-in-trade as raw power and his influence on fellow masters Joe Gans and Kid McCoy is irrefutable. 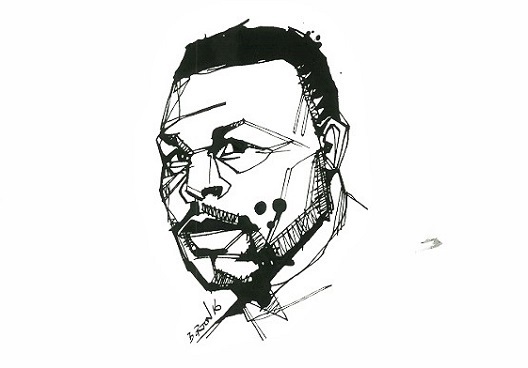 Archie Moore. Ink drawing by Damien Burton. 3. Willie Pep: The “Will o’ the Wisp” was a master of angles, movement and creating traps for the unwary. To watch Willie Pep in action is to witness a dissertation on how to set up an opponent: faking to circle out to his left but instead coming back with a straight left from the southpaw stance. Or playing with distance by forcing the opponent to over-commit and then walking them into shots. In fact, many of the tactics Floyd Mayweather Jr. used to dominate his era, Pep was employing even more authoritatively 75 years ago. 2. Joe Gans: Gans, the first black American to win a world title, was one of boxing’s first true masters and a unique talent in that he was equally proficient boxing from a distance or fighting on the inside. A pioneer of ring craft, he did not invent the left jab but he likely refined its use both as a defensive punch and as a distraction to disguise an attack. Historians do credit him with inventing the uppercut and popularizing the basic techniques of blocking, footwork and counter-punching and his prodigious skills earned him the nickname “The Old Master.” His influence is immense and was acknowledged by numerous later champions, including the great Benny Leonard. 1. Benny Leonard: An immensely sophisticated boxer, Leonard reigned over probably the greatest lightweight division of all-time and it was ring smarts more than anything else which accounted for the success of “The Ghetto Wizard.” Such was Leonard’s mastery, he rarely lost a round in competition. The great Benny Leonard by Damien Burton. Honorable mentions: Sugar Ray Robinson, Ezzard Charles, Charley Burley, Harold Johnson, Gene Tunney, Tommy Ryan, Philadelphia Jack O’Brien, Jack Britton, Tommy Gibbons, Abe Attell, Nicolino Locche, Sam Langford, Billy Conn, Wilfred Benitez, Jack Blackburn, Guillermo Rigondeaux, Jersey Joe Walcott, Eder Jofre, Floyd Mayweather Jr., George Benton, Mike Gibbons, Muhammad Ali, Jack Johnson, Mike McCallum, Pernell Whitaker, Georges Carpentier, George Foreman, Roberto Duran. It’s hard to say who’s the smartest in the strictest sense. Who puts in the most brain energy into their approach? A strong case goes to the most successful boxer since they knew what it took to win and they calculated more correctly than their opponent. George Foreman can be seen as top 5 with how he used his strength and lack of speed to win. But too much weight is given to oldtimers, given that the techniques we use know surpass what they ever knew so is this pound 4 pound most cerebral? Again..hard to know what’s in a man’s mind when he doesn’t execute well. Even a loser may have been doing more thinking than his opponent. You cannot say that they would not have success today. If they were born today they would know what we know. They would also be faster, stronger with the better training methods and then their thinking will excellent that. And it was guys like them that set the groundwork for the fighters of the future. And the comment about about only as cerebral as you opponents offense does not make sense. Why would you let your opponent dictate the fights pace?